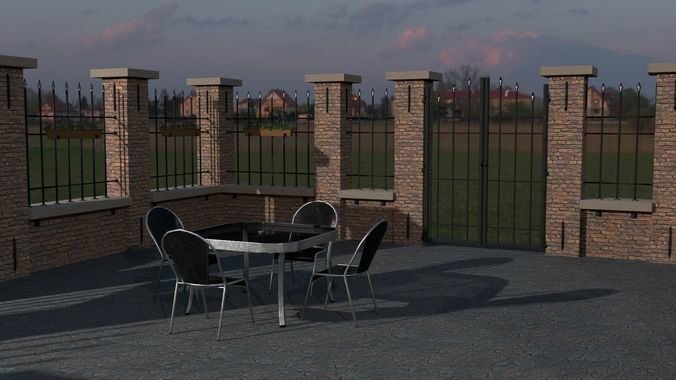 A modular, game-ready, low-poly set of metal fenced walls and gates + furniture. All texturemaps are baked from high-resolution models (wich are left included) and available in 1K, 2K and 0,5K: Ambient_Occlusionmap, Heightmap, Normalmap, BaseColormap, Metallicmap, Rougnessmap, Diffusemap, Glossinessmap and Specularmap. All maps can be found in the textures.zip-file.